VA Appeals Reform: Smooth sailing to easier benefits, or a minefield for veterans? This will be the first of MANY posts on VA Appeals Reform – the short term for the changes in the VA Appeals Improvement and Modernization Act of 2017. The purpose of this post is not to cover Appeals Reform in great detail, but to give you an idea of the general idea of what’s coming. I approach the post in this way. First, I want to give you an overview of where we are in the “VA Appeals Reform” process. Second, I want to tell you – very generally – about the BIGGEST changes to the VA Appeals process. Third, I want to give you a warning about a troubling development. Part I: VA Appeals Reform – Where We Are and How We Got Here. So, about 2 years ago, under President Obama and VA Secretary McDonald, the VA started working with a variety of organizations to evaluation why appeals were taking so long. As noted here on the blog, the wait for a BVA decision can easily take over 2 years, and more commonly 5-8 years. After 30+ years of this nonsense, I guess President Obama was the first president to get frustrated enough about the problem to do something about it. After dozens of meetings between the VA, advocacy organizations, and VSOs, the VA started working legislation through Congress. It was ready to be passed back in the Fall of 2016, but the Republicans held it back as part of their “Congressional Welfare” program….you know, the one where Congress gets paid for doing nothing. (Not to get political, but Republicans worked hard to stall this reform package until they could no longer avoid dealing with it). Anyway, Congress finally passed this VA Appeals Reform package and it was signed into law in August 2017. It’s called the VA Appeals Improvement and Modernization Act of 2017. But don’t get excited. It doesn’t go into effect yet. The earliest it will go into effect is 540 days (18 months) after its passage. And the VA has the right to postpone its implementation indefinitely beyond those 540 days. Overhaul to the path by which the Veteran appeals to the BVA. This law is incredibly thick. 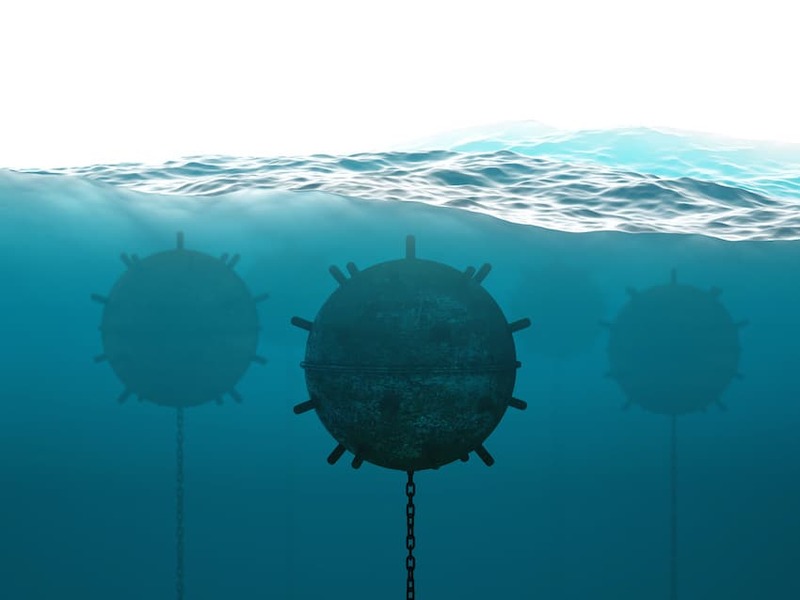 It is complicated, full of traps, and while I admire the thought and partnerships that went into it, it is far different from what the Obama administration first wanted, and far more complicated than I think most veterans will be able to handle. But then, that’s one of 2 plays the VA knows: 1) Delay until the vet dies, or 2) Make it so complicated its easier to live in poverty after becoming disabled in service to your country. As you can see, I’m not a big fan of this VA Appeals reform package. In fact, I have taken to calling it “VA Appeals Deform”, because I think that all it is going to do is make things much, much worse. 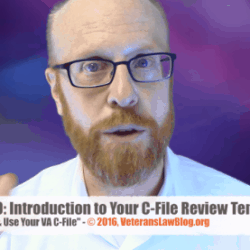 That said, I will do my absolute best to give you fair descriptions of what is and what is not in the bill, and how it might affect your VA Claims and Appeals. What’s next for the VA in implementing the VA Appeals reform legislation? Two things. First, they have to initiate the pilot program. The purpose of the pilot program was to figure out if the actual appeals reform plan will work. Second, the VA has to issue regulations to implement the VA Appeals Reform. As you know from following the Veterans Law Blog®, statutes and legislation give the authority to the executive branch (the VA) to do something. The VA must then issue regulations specifying HOW it will do what Congress authorized. This system, which has existed since the dawn of our country, protects the public from executive branch over-reaching and exceeding its Congressional authority. This reform has NOTHING to do with claims….only appeals AFTER the claim has been denied. Many VSOs are staying on the sidelines right now, and are privately very scared about how the VA is starting to implement this legislation. Until the VA issues regulations, nobody REALLY knows what is going to happen or whether this will work or be another VA Charlie Foxtrot. Part II: What is Gained and Lost in the VA Appeals Process with the new VA Appeals reform. Gone – Reopened Claims. New – Supplemental Claims. You will, in theory (See Key Point #5 in Part I) be able to supplement any claim the VA denies, at any time, with new and relevant evidence. If you do this within one year of the VA Regional Office, BVA or CAVC denial of your claim, you will get the effective date of your original claim. Miss that one year mark and you will get the effective date of the supplemental claim. Gone: Statement of Case and VA Form 9. New – File your Notice of Disagreement directly with the BVA. Instead of the triple whammy that is now required to appeal an adverse VA Ratings decision denial (NOD-SOC-VA9), if you chose to file an appeal to the BVA (and as you will see below, it is one of THREE new options after receiving a VA Ratings Decision), you will file your Notice of Disagreement with the BVA. Gone: Decision Review Officers. New: Higher Level Review. Currently, if you file a Notice of Disagreement (NOD) with the VA Regional Office, you can request a Decision Review Officer (DRO) hearing, and a senior claims examiner will review the decision and any new evidence you submit to see if the original rater made an error. Under the new system, a second of the three options after receiving a VA Ratings Decision is to request a Higher Level Review: a senior claims examiner reviews the decision for error, but you are NOT allowed to submit new evidence. Gone: Regional Office Claims Handling. New: VA National Work Queue. Your claim will no longer be handled at your local regional office. It will be sent, from the Evidence Intake Center (EIC) to the Regional Office with the most availability in terms of workload or people. This is supposed to speed up claims, by letting “busier” regional offices shift their workload to less productive regional offices. Of course, we all learned in high school that if everybody gives all their homework to the kid that never does his homework, the end result is that nobody’s homework gets done. Gone: Duty to Assist after the initial ratings decision. New: Nothing replaces the Duty to Assist on appeal. Once the VA issues a ratings decision, it no longer has to fulfill the Duty to Assist. Which, as we all know, is silly. Did any of you ever confuse the Duty to Assist with actual assistance? I didn’t think so. Part IIA: 3 NEW Options after receiving a VA Ratings Decision. Here are the 3 NEW actions you can take after receiving a Ratings Decision on your VA claim (IMPORTANT: See Key Point #2 in Section I, above…this has NOT gone into effect yet). 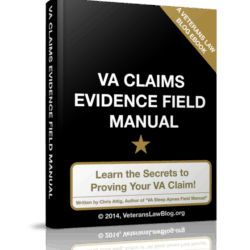 Option 1 – the Supplemental Claim: Add New and Relevant evidence and file a supplemental claim with the VA Regional Office. If you file the Supplemental Claim within one (1) year of the VA Ratings Decision denial, you will get the original claim date as your effective date. Otherwise, it will be the date of the Supplemental Claim. Here’s some GREAT news – you can hire an attorney to help you with the Supplemental Claims…and because attorneys know how to prove claims, and can charge a fee on supplemental claims, many of you can just hire an attorney right after your denial and (if the VA implements this correctly) get a favorable decision under a year. Wishful thinking? Maybe, but I’m most optimistic about this option. Option 2 – Higher Level Review: You will have to request this within 1 year of the date of the VA ratings decision, at least in theory. In my mind, this is going to be a waste of time. If you ask, within 1 year of a VA ratings decision denying your claim, you can have a senior rater review the decision but you cannot give any new evidence. Option 3 – Appeal to the BVA. If you want to appeal the decision to the Board of Veterans Appeals (BVA), you will have to file a Notice of Disagreement directly with the BVA. No more appealing to the Regional Office. Here’s the catch: Your appeal to the BVA must identify the specific error that the VA made which you are appealing. If the BVA doesn’t think you were specific enough, they can dismiss your appeal. Part IIB: 3 Options when Appealing to the BVA. If you choose Option 3, and decide to appeal a VA ratings decision to the BVA, then you will have 3 options. As it stands now, there is no mechanism for jumping between the Options – it appears to be a “Stuck with your Choice” scenario, which is never a good idea when there are so many veterans filing so many appeals. Option 1: Request a BVA Hearing and Submit New Evidence. If you choose this option, you can submit evidence at the hearing, or up to 90 days after, but not before the hearing. Option 2: Submit New Evidence but have NO Hearing. 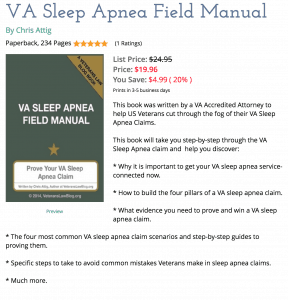 If you choose this evidence, your record will bet the evidence in the record when the VA Regional Office denied your claim, and anything you submit in the 90 days after you file your Notice of Disagreement. Option 3: No BVA Hearing and No New Evidence. Your “record” on appeal to the BVA is limited to the evidence of record at the time of the VA Ratings Decision. Part III: WARNING!! Read and be aware of troubling developments. Two things you should have noticed already. First, this new VA Appeals reform process is INCREDIBLY confusing. And what you see in today’s post is only the TIP of the Iceberg. There is so much more that I haven’t told you….this is just the Really Big Stuff! Second, the decisions you have to make are going to require some strategic thinking – and this is why I categorically reject the notion that this process is good for vets. Any time you have to have a strategy for how to get VA Benefits as a disabled Veteran, you are dealing with an agency that wants to practice making you BOHICA. Finally, and the most troublesome aspect…. ….the VA has begun to make plans for its Pilot Program. Our spies in a couple VSOs have given us an advance copy of the draft letter that between 500 and 10,000 veterans will receive. Its horrifying. Tons of fine print. Inaccurate information. Requests for you to give up your place in line at the BVA for no clear benefit other than the promise of butterflies and unicorn poop from the VA.
Stay tuned….once I can release this letter without “outing” my source, I will. And, keep your eye out for MUCH MUCH more from the Veterans Law Blog® on the topic of VA appeals reform. At least “some” of this is good, well Very good for VEts. According to the BVA chairmans report in 2014 the BVA is only responsible for 357 days of the appeal process, while the AOJ has a total of 1332 days (including remand factor, since remands are the most likely result). What this means is your VARO is sitting on this for 3.64 years, while the BVA actually only takes a year to do your appeal. And, the new law proposes to short circuit this, and send your appeal to the BVA cutting off 3.64 YEARS of appeal time while its sitting in your VARO waiting, mostly, to be certified to the BVA. Interestingly, the “with VSO” category was eliminated with the 2014 BVA chair report, while earlier versions included this. In my own case, my VSO “sat” on my appeal for 18 months to “prepare a brief” for the Board. When I called my VSO to ask them why it takes 18 months to prepare a brief, they reasoned I was already “in cue” with a docket number, so it made no difference anyway. Just to make sure, I called the BVA and asked for the docket number, and they said it had to go through my VSO first, before it was docketed, so I found out my VSO was lying. VSO’s are an integral part of the 5 year backlog. Most Vets dont know this, they just know it takes a long time, they dont know why. Vets are generally not privy to the briefs filed by their VSO, but I was able to read one and the VSO basically reminded the BOard of the benefit of the doubt. This should take 18 minutes, not 18 months. The VSO brief did not bring up favorable evidence, it just reiterated what the Board should already have tatoed on their arm. “BOD”. True, some of this can be really good. And, if you ask me (TOTALLY off the record), I think that the VA knew that this kind of appeals reform is going to dramatically undercut the value of VSOs. 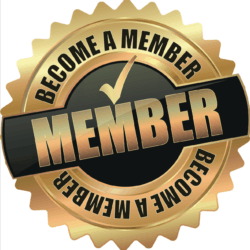 DAV, VFW, Legion…all have dramatically shrinking memberships already, and the new processes here virtually guarantee that no vet will need a VSO after the initial ratings decision. Why? The options and record close dates in the VA Appeals reform package incentivize fast and thorough work by attorneys, so it presents a choice: pay nothing for nothing, or pay an attorney a fee for quick favorable decisions. More on that later. The proof will be in the regulations and implementation. If the VA promptly adjudicates – and grants – a lot of the supplemental claims, it will dramatically reduce appeals. However, they aren’t improving rater training, so there are many that think the Supplemental Claims will be no different than the current NOD, just with a second queue to get it in to get to the BVA once the VA denies the supp claim. I am not a big fan of this VA Appeals reform package because of its complexity. As any engineer will tell you, the more moving parts a process has, the more it will be likely to break. But, I am willing to keep an open mind in the hopes that the VA really does want to reform appeals. Thanks for posting your insight.